One of the most frustrating parts of being a caregiver is dealing with an older adult who stubbornly refuses help. 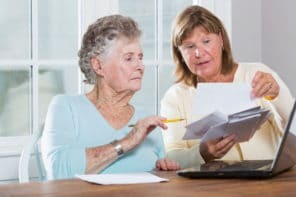 Many seniors get defensive and won’t admit that they need assistance. But when their health and safety are at risk, how do you convince them to accept help? 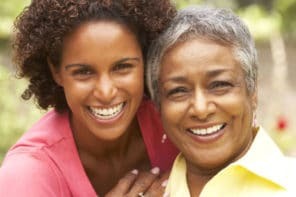 Dr. Leslie Kernisan, a San Francisco geriatrician, shares 4 expert tips to solve this common challenge in her NextAvenue article 4 Things to Do When Your Parents Are Resisting Help. Here are the key highlights from her action plan. To keep you from pulling out your hair in frustration, Dr. Kernisan recommends taking these four key actions when your senior refuses help. This can affect an older parent’s insight and judgment and can also affect how well they can process your logical arguments. Logical arguments often fail to convince the people we have emotional relationships with. This is true even when they are younger and presumably have good mental faculties. That’s because people are not rational about many things, especially when it’s an issue that stirs up certain emotions in them. For most older adults, the goals of safety and longevity bump up at some point against the goals of autonomy and independence. Most conflicts that older adults have with their families end up revolving around this dilemma. When we get anxious about our parents’ safety, or their reluctance to accept help, what is it we really need and want? What fear or desire is driving us? People being people, we all have a tendency to try to address our needs by wanting other people to do something differently, or by trying to keep things from changing. In Dr. Kernisan’s full article, her action plan gives suggestions for what to do when your older adult refuses to accept the help they need to live safely. She also includes smart tips and questions to use as conversation starters for the discussions you’ll need to have with them.